The present article analyses the Arctic Sunrise arbitration, which concerns the lawfulness of the boarding and seizure of the Dutch-flagged vessel, Arctic Sunrise, during a protest against the oil rig Prirazlomnaya in the exclusive economic zone of the Russian Federation. Even though the Arctic Sunrise vessel was three nautical miles from the rig, the Greenpeace activists on board were arrested, detained and charged with piracy, which was later replaced with a charge of aggravated hooliganism. Peaceful protest at sea is an internationally recognised lawful use of the sea, related to the freedom of navigation, and it is therefore subject to the limitations defined by, inter alia, the law of the sea. This necessitates a balancing of the right to protest at sea with other legitimate interests, including safety of navigation and the safety and security of artificial islands, installations and structures located on the continental shelf or in the exclusive economic zone of a State. According to the award, the coastal State should tolerate some level of nuisance caused by civilian protest as long as it does not amount to an interference with the exercise of its sovereign rights. In order to protect its sovereign rights, a coastal State may respond appropriately against acts of protest provided such measures are reasonable, necessary and proportionate. The Arctic Sunrise case raises a number of interesting legal questions concerning the phenomenon of acts of protest at sea, questions that have not been adequately explored to date. 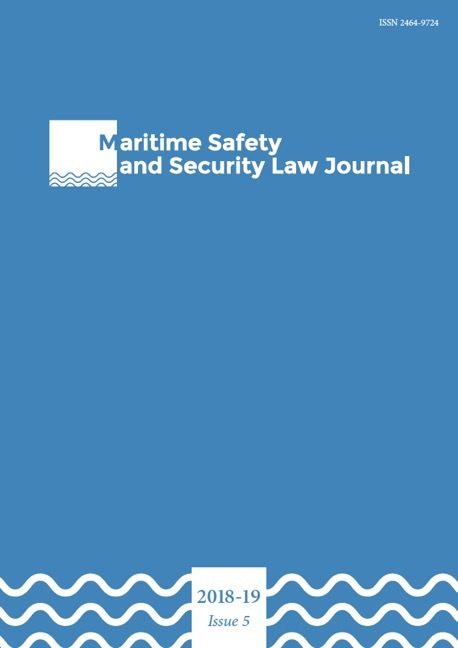 This paper aims to analyse the difference between acts of protest at sea, piracy and maritime terrorism, the limits on the right to protest at sea, and the connection between the law of the sea and the protection of human rights.